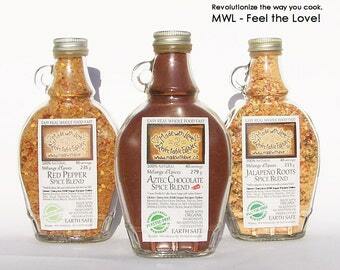 Four adorable 4.5 oz medi-size Made with Love Artisan Spice Blends. These glass bottles are hand dipped in natural small farm beeswax. This gourmet gift comes nestled in our signature eco gift box with gorgeously green dried flowers, twigs, hearts, herbs and spices & 100% recycled fibre kraft tissue & note card. Please add your personal message with your purchase & we will ship directly to the ones you love. 100% natural. 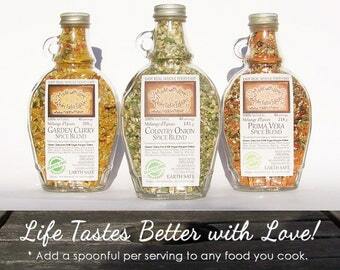 Just a spoonful per serving on anything you cook! 2nd picture: Our Medi size 4.5oz /5 recipe bottle will make 20 servings of "10 minute" pasta bowl dinners with a rich gorgeous real cream sauce (dairy or coconut) or a decadently divine clear sauce. 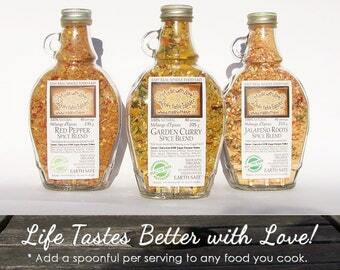 Gluten-free, Vegan, Raw and Dairy-free recipe options provided on your label. 3rd picture: Mix any Spice Blend flavour with honey and fresh lime juice for a simply gorgeous gourmet glaze for chicken, fish or pork. 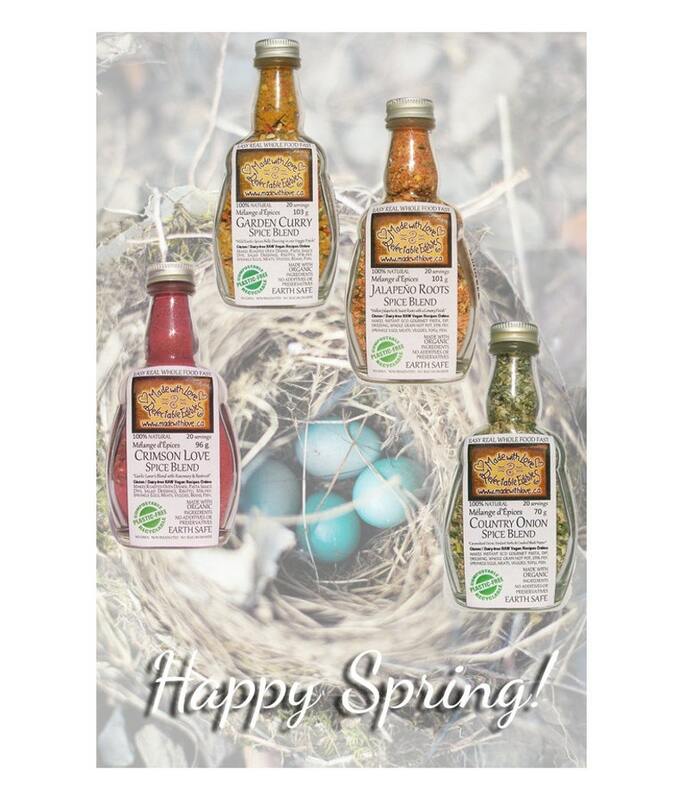 Four Gorgeous Eco Artisan Spice Blends in 100% natural Easter colours!